Artsenta, recipient of the Arts Access Creative Space Award 2015, has a busy calendar for the rest of the year, including a move to new premises in November, an installation in the Dunedin Public Art Gallery, a book launch and its annual exhibition. 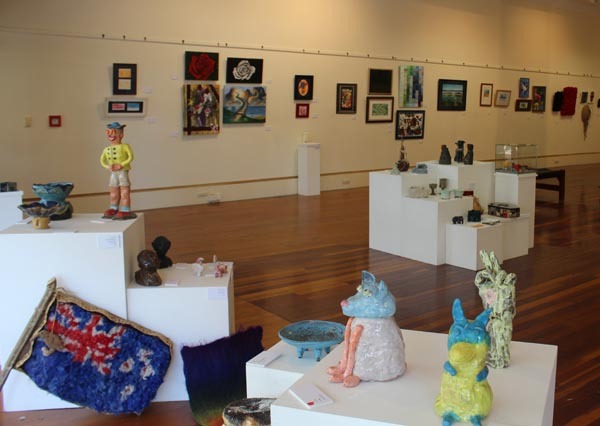 A creative space providing artistic opportunities for people who access mental health services, Artsenta is displaying a collaborative installation in a window of the Dunedin Public Art Gallery until 1 November 2015. 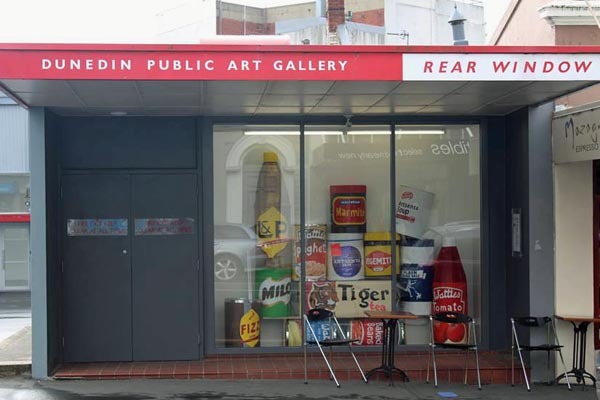 The Dunedin Public Art Gallery called for proposals for the rear window installation and Artsenta’s proposal was accepted. The gallery accepts approximately ten proposals a year, which are each installed for just over a month. Named Big Shop, Uncollectables, the installation is a satirical work made up of 13 giant grocery items that critique in a colourful way the New World supermarket’s recent Little Shop/Little Kitchen promotion. The installation was inspired by props created for Artsenta's biennial event, Arty Pants, in October 2014 and representing 1960s’ pop art. The giant props were made out of paper and card over the weeks leading up to the Arty Pants event. Some of the artists worked collaboratively on different aspects of making the props. Arsenta's annual exhibition runs until Friday 23 October at the Dunedin Community Gallery. “From textiles to painting, printing, photography, craft – you name it we have it,” Kari says. The book Artsenta: the first 30 years was launched at Dunedin Community Gallery at the opening of the annual exhibition. 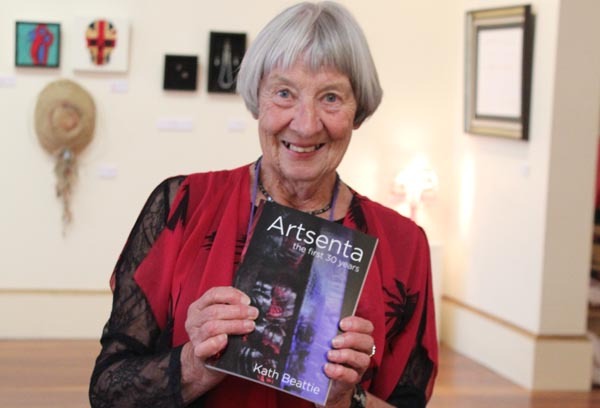 It presents the history and development of Artsenta and is written by Kath Beattie. The book came about when Artsenta brought in an archivist to sort through a lot of the historical collections. Kath, a writer and trust member, offered to write up the history using the archived material and interviews with people. The book recounts Artsenta's story from its beginnings in 1986 as the Creative Expressions Unit at Cherry Farm Hospital north of Dunedin. It also talks about its ongoing creativity as part of the mental health community in Otago. Last but not least is Artsenta’s move in November to new premises a few blocks away at 462 Princes Street, where it will re-open on 1 December. This building is on ground-floor level, is central to the city and close to bus routes. “An advantage of the new space is that it's easier to keep warm,” Kari says. “It also has large windows at street level so we're hoping to create a gallery or display space – something we haven't been able to do before. Original generation time 1.6199 seconds. Cache Loaded in: 0.0172 seconds.